I posted a blog a year ago about homes being in short supply in the Louisville market. Back then, the experts thought the the shortage might continue for a few more years, and it has! A healthy market (meaning one where there's a good balance of Buyers and Sellers) would have between 5,000 and 6,000 homes for sale in the market served by the Louisville Board of Realtors. This would usually translate to between 5 and 6 months of "inventory" (meaning if we kept selling houses at the current rate and no more were listed, we would run out in 5-6 months). Today, we have a little over 2,900, which is just over 2.2 months! Back in 2010, we had over 10,000 homes on the market, and since the financial crash was fresh in everyone's minds (and also the Lenders'), nobdody was buying! Builders couldn't get credit to construct new homes, and there wouldn't have been buyers for them if they had. A lot of people improved their existing homes and refinanced at post-crash interest rates, which were as low as 3% for a little while. These people seem to be staying put in their recently-remodeled homes! Many people are afraid that if they list their home and it sells, they won't be able to find another one. This is sort of a self-fulfilling prophecy, as their reluctance to list further tightens the market. A significant number of people in the building trades left the industry altogether and found different jobs when construction stopped a few years ago. Today, those trades are in short supply, which restricts builders' ability to put up new homes. Also, new construction costs are usually in excess of $150/foot, while existing homes could be purchased at lower costs. Baby Boomers are On The Move! Keeping Current Matters recently published this quick piece on Baby Boomers relocating to be closer to family, to enjoy better weather or simply because they want to! If you're considering making a move to or within the Louisville KY market, or making a move to another state, call me at 502-608-4941 or complete the simple contact request below. We will be there for you when you need us! What If You're "Invisible" to the Credit Bureaus? RIS Media recently published an article about people who have not used credit in the past, and are therefore "invisible" to the credit bureaus. As you probably know, Credit is one of the Four Cs that lenders use to determine if you qualify for a home loan in the Louisville KY real estate market. (The others are Character, Capacity and Collateral). Back in "the day", people who paid cash for every purchase were considered to be careful and honorable. However, in today's world, judicious use of credit is important in developing a "Credit Score" which lenders use to determine whether they will or won't be able to approve you for a home loan. If you don't have one, you're "invisible"! So, if you don't have any credit cards, car loans, mortgage payment history, store accounts with large merchants, etc., it may be time to take a few steps. Don't wait until you are thinking of buying in six months -- do these things a couple of years before you try to get a mortgage -- if possible. Mortgage companies will look for at least two or three "trade lines" -- in other words, companies which have granted you credit that you have used prudently. If you don't have any credit established, START SMALL -- open a couple of credit accounts with $200 credit limits, use them, and pay the bill on time! Perhaps take a small car loan and pay down the balance as agreed. When looking for your next home, you may encounter houses where SMOKERS have lived! This results not only in a yellowish discoloration or walls and ceiling, but a strong odor as well. If you dn't follow the right procedure to rid your home of these sights and smells, the odor may return as the nicotine stains (and smell) find their way through your new paint. Here's a great article on eliminating these stains and odors -- forever! Thanks, Image Works Painting in Pittsburgh, Pennsylvania for this useful post! What's the State of the Louisville Housing Market? Like most of the country, the Louisville market has lots of demand from potential home buyers. Consumer confidence is strong, employment statistics are good -- and even though there's a lot of complaining about mortgage rates rising, they are still FAR below long-term averages. Our "affordability index" is high, with most families with "average incomes" earning over 1.5x what they would need to buy the "average home" in Louisville. So, it's all good, right? Well, it's pretty good, but there aren't enough Sellers in the market right now and the supply of homes is low. There are lots of theories, with the most likely being that many people re-financed into extremely low rates in the past couple of years, and are simply enjoying staying put with low mortgage payments. Another is that people who want to move are afraid to list because they're not sure they can find a new home. Of course, the cure for this is for more people to start listing and selling! The National Association of Realtors states that in a "balanced" market, there is about 5-6 months of housing "inventory" (meaning it would take 5-6 months for Buyers to absorb all the homes if no more were listed). Anything higher than 5-6 months is a "Buyers' Market", and anything less is a "Sellers' Market". Features that Home Buyers DON'T Want! Features that Home Buyers Don't Want or Appreciate! Everyone talks about the features in homes that are most attractive to Buyers. Ever wonder what features Buyers really don't want in their next home? Laminate counter tops (40%) -- this one definitely depends upon the price of the home. Bottom Line -- Don't install or buy any of these features thinking that EVERYONE will love it! Many of these vary greatly by the type of neighborhood/price of homes. 1. You DON'T have to have twenty percent down, or even ten. 2. For some types of loans (FHA loans are very common for first time buyers), you need as little as 3.5% of the purchase price. 3. Depending on your income and family size, there are "down payment assistance" programs available. In most cases, these programs will loan you $5,000-$6,000 toward your down payment, and each year for the next five years, 20% of that amount is forgiven (meaning if you stay in the home five years, you don't have repay downpayment assistance loan). 4. If you're a veteran with an honorable discharge, you can use a VA loan with competitive rates and NOTHING down. 5. Some parts of the Louisville market and surrounding counties are eligible for Rural Housing loans, which are underwritten by the US Dept of Agriculture. These loans also require as little as $0 down -- and no, you don't have to farm or do anything related to agriculture to qualify. 6. There are now "conventional" loans which require as little as 3% down, and do not require mortgage insurance (call if you need an explanation of mortgage insurance). Rates are slightly higher than other loans, but sometimes these are still the best for your situation. Getting a loan is like buying a car -- there's no "right" answer and one size definitely doesn't fit all! Please call us for a recommendation to a good lender who can discuss your options confidentially with you. You may be in a much better position to buy a home than you think! Who Are First-Time Homebuyers Today? Every year, the National Association of Realtors creates a Profile of Buyers and Sellers. This year, it indicated that married couples were the largest group of first-time homebuyers, followed by single women, then by single men -- most with average ages around 30-32. Take a look at a summary of this study here, thanks to the good folks at Keeping Current Matters! Call us at 502-608-4941 and we can schedule a meeting or send you information about buying your first home! We can make it easy for you -- guiding you through the process every step of the way! Flipping Houses for Fun and Profit! During the "down market" of the late 2000s, buyers with large cash troves were able to buy many homes at below market prices, often with cash. However, there weren't many Buyers in the market then due to tight money and other factors, so improving and "flipping" these homes wasn't really a good option. Be sure that there is a market for improved homes in the area where you're looking. Sometimes, a home will seem like an exceptional value to an inexperienced Buyer, but in reality, the entire neighborhood or subdivision may be "depressed" in value for a number of reasons. Improve the home to the point it will be attractive to the type of Buyers looking in that area. In other words, don't improve a home to a level that might appeal to you -- improve it to the point that it will out-shine other similar homes in the neighborhood where it's located. Work with a Realtor to understand the "velocity" of sales near the home you're considering for a flip. Before you invest your money, you want to know that the home's "after improvement value" (AIV to experienced flippers) will be high enough for you to make a profit. More importantly, you need to know what other homes in the condition that your flip will be in are selling for in that neighborhood. Don't over-improve. You don't want to be the most expensive home in the neighborhood, because that might lead to appraisal problems when you sell your flip. New FHA Insurance Rates Helping Buyers! Mortgage loans backed by the Federal Housing Administration (FHA) have long been the best bet for many Buyers who want to purchase a home with a relatively low down payment. In the past, FHA standards allowed a loan to be approved with as little as 3.5% down. The "Catch"? The Buyer had to pay private mortgage insurance (PMI) until the Buyer had paid down the mortgage to less than 80% of the home's value. After the mortgage disaster of 2008-2009, FHA took the brunt of many loans which went into default, and raised the insurance rate to 1.35% (meaning the Buyer has to pay 1.35% of the outstanding loan amount each year, divided by 12 and added to the Buyer's monthly payment). In addition, the new rules stated that the PMI would remain in force for the LIFE OF the loan -- not just until the Buyer owned 20% of the home. If your down payment amount is low, you may also want to consider VA loans (if you're a veteran -- 0 down with no PMI), Rural Housing loans (same as VA, but only in certain areas) or newer 3% down conventional loans. Each has different advantages for different people, so ask your Lender for advice in this area. Before taking a mortgage loan, call me for recommendations and I will send you contact info for high-quality lenders! Rents have been accelerating far faster than the price of homes over the past several years. Part of this was due to the tightening of credit standards after the crash of 2008. Changes during that period led to more people being ineligible for loans, which meant they couldn't buy homes, which led to more upward pressure on rents due to demand. Home prices have been increasing across the US, but for the most part, have not yet reached "bubble" prices of 2007 and early 2008 (BEFORE the crash late in the year, which started a multi-year decline in home prices). Interest rates are still VERY low as compared to any decade since the 1950s. Typical home loan interest rates are still barely over 4%, even though many experts expected that they would rise above 5% this year. Remember that each ONE PERCENT increase in mortgage interest rates is equivalent to a TEN PERCENT increase in the cost of the home you may purchase. Buying and owning a home in the Louisville, KY market is still a smart investment, and it's still possible to buy with as little as 3% down (even less if you are a veteran or qualify for down payment assistance -- call us for more details on this). If you want the best possible assistance in purchasing your new home in Louisville, complete the form below or call us at 502-608-4941. How Much Down Payment do I Really Need? One of the biggest concerns non-homeowners voice is the lack of a "big enough" down payment. While down payment, credit score, employment status and past bankruptcies/short sales/foreclosures absolutely DO matter, the required down payment may be less of an issue than you think or expect. Many people think that theyt must save 20% of the purchase price before they can buy a home. In reality, Buyers can acquire a home in the Louisville, KY market with as little as $0 down. If you're a veteran with a clean discharge history, the VA will guarantee your loan with no money down, and even better, with no Private Mortgage Insurance (PMI) premium. For vets who are first-time Buyers, this is usually the lowest cost loan and is a "home run" for you! The same "deal" is available to Buyers who purchase in an area where USDA Rural Housing incentives are offered. If you decide to use an FHA-backed loan, you will need 3.5% of the purchase price. This sounds good, but you must also pay 2+% when you take the loan (which is usually rolled into your loan balance), PLUS over 1.5% of the loan balance as "PMI" each year, as long as you have the loan. Thsi used to drop off when your balance dropped under 80% of the home's current value -- but not any more. Conventional Loans can be written with as little as 5% down at purchase. Unless you put down 20%, you will still pay PMI until your balance is less than 20% of the home's current value, but then it stops. 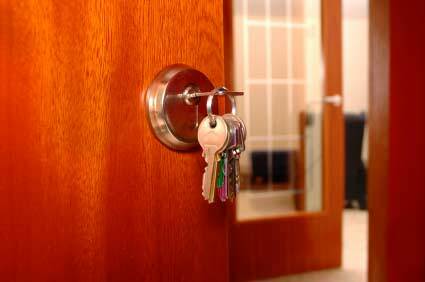 Considering Buying a New Home in 2014? Many people think that since they pay their bills and have a good income, their credit report is probably "clean" and their credit "score" (known as their FICO Score) is excellent. Check your credit reports using a system which reports results from all three of the "bureaus" (TransUnion, Equifax and Experian). Let's say you moved a couple of years ago and a medical bill never made it to your new address, or the guy you bought that car from at the "we finance" lot reported a missed payment to the bureaus? There are many other situations that might have caused a "negative" on your credit reports. Some of these can be resolved quickly, while others can take weeks, or months. You won't be dealing wth an efficient (or quick) bureaucracy here, so it's good to know that your status with the credit bureaus is excellent before you start shopping for a home! Problems on your credit report will often stop your home purchase, so don't wait until you're ready to buy to find out! The Lender can explain your "ratios" of debt to income to you, and give you a reasonable sense of what sort of home you might want to purchase and how much you could borrow to meet those needs. Once you know how much you CAN borrow, it makes a lot of sense to think through your lifestyle and how mucy of your income you want to devote to housing. A large and exclusive home is critical to some people, while to others it's a place to sleep between sporting/social/travel/family events! Should I Buy/Sell in the Winter? Should I Buy or Sell a Home in the WInter Months? Well, as you might expect, "it depends"! Most people envision the "spring rush" as the best time to buy or sell a home. In truth, homes sell all year long, and what matters most is the "ratio" between the number of homes listed and the number of people who are out there looking to buy. To make the point, 1,415 homes sold (closed) in June of 2013, while 1,052 were closed last December. So, December closings were almost 75% of June's. As you can see above, homes sell all year round in the Louisville, KY market. Part of this is due to a (usually) temperate climate, and the fact that Buyers are able to view homes and gain information about them year-round using the internet. While Buyers are usually distracted in late November - December by holiday events, Realtors' phones usually start ringing right after the start of the new year -- this year is no exception. If you need or have to sell in the winter, it's not such a bad thing. There are fewer homes on the market in the winter, so the ratio of homes to buyers is similar. If your outdoor areas are a strong selling point for your home, it's better to wait until everything is green, your pool is beautiful and your lawn is at its finest! However, if you know you will need to sell in the winter months, you can leave big, glossy photos of your outdoor living spaces inside the home so Buyers can see what summer will be like if they live there! One thing is a constant all year long, winter or summer. Well-prepared, fairly-priced and nicely-staged homes always sell quickly, while those that aren't are much more likely to sit. This four-minute time-lapse of the Louisville, KY area actually took more than a year to create. Credits are at the end. If you have a big monitor, go to full screen -- quality is AMAZING! Click Here. 2014 Home Sales Predicted to Rise 10-15%! Almost all of the housing experts are very "bullish" regarding expected sales volumes for 2014. There are several factors at work here, and almost all are positive! The soft economy over the past few years has prevented many would-be Buyers from leaving their parents' homes. With jobs hard to find and incomes low, many young Buyers were either unsure that they could find/keep a well-paying job, or were not in a position to be approved by a mortgage lender. In addition, most careful first-timers won't move ahead with a purchase unless they are reasonably certain that they can make the required mortgage payments and maintain the home for the foreseeable future. All of this has slowed what experts call "household formation" over the past several years. Decreasing unemployment (althouth still not as low as we all would like) is helping to alleviate these concerns. Also, young Buyers are becoming more familiar with the expectations of the mortgage industry -- taking steps like checking with a lender several months before starting to look for a home (just to be sure there are no credit "skeletons" which need to be banished), getting a pre-approval before starting to shop and having a clear picture of what they can or should spend for a home. If you're considering buying your first home, we would be happy to share our "first-time buyer" presentation with you or sit down with you to discuss the process! Just give us a call, text or email. US Foreclosures Down 30% in Past Year! US Foreclosures Down 30% from October of 2012! There were 48,000 foreclosures completed in the U.S. in October 2013, down from 68,000 in October 2012 -- a “month over month last year” decrease of 30 percent. There have been approximately 4.6 million completed foreclosures across the country since the financial crisis began in late 2008. As a comparison to the numbers shown above, there were only about 21,000 completed foreclosures each month in the US between 2000 and 2006. In October, 2013, 879,000 homes in the U.S. were in some stage of foreclosure (1.) loan in default, 2.) active foreclosure lawsuit or 3.) owned by a lender), compared to 1.3 million in October 2012, a year-over-year decrease of 31 percent. In other words, open foreclosures as of October 2013 represented 2.2 percent of all homes with a mortgage compared to 3.1 percent in October 2012 – a substantial drop. Highest percentage of all mortgages in foreclosure is Florida, with 7.1%, while the lowest percentage of any state is Wyoming at just .4 %. Foreclosures are difficult for the families and owners involved, but also create stresses for ALL homeowners. These homes tend to sit vacant and (often) poorly maintained for many months while the foreclosure process trudges forward, and too many foreclosures or short sales in a neighborhood can “drag down” home values – thus affecting all owners in the neighborhood or city where foreclosure levels are high. Good News About Over-55 Home Buyers! Manageable size -- Most want room for returning kids, grandchildren or guests, but for many, the McMansion days are over! Low energy costs - In many cases, retirement income will be more "fixed" than pre-retirement. Who wants to risk having variable energy costs eating up a larger part of the pie? Newer Homes - Newer often means more energy efficient, lower-maintenance and more "functional" housing. In other words, less maintenance = more time and money to enjoy life! Leisure and Services - Many seniors would like access to golf, social club, dining and other facilities in the neighborhoods where they settle. Proximity to retail services is also a "Plus"! Last but definitely not least -- fewer steps. Builders have understood this for years, and senior-friendly communities often boast no-step garages, slab floors at the same level as front/rear sidewalks and more. This design allows seniors to buy a property knowing that it will allow them to "age in place" for as long as possible. The National Association of HomeBuilders manages an "Over 55 Confidence Index", which measures interest among over 55 buyers. This index is currently at the highest level since it was established. This is due in no small part to the overall improvements in the housing market in the past few years. For several years since the recession began, seniors were constrained from moving because of weak demand for their existing homes and not wanting to sell their largest asset while the market was "soft".